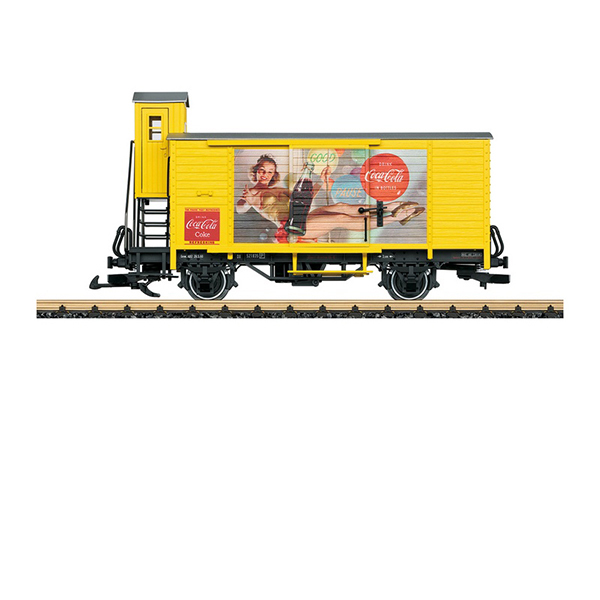 Product: This is a model of a German Federal Railroad two-axle refrigerator car. The paint scheme and lettering are for Era III. This is a unique scheme in the Coca-Cola® design. The doors – even for the brakeman's cab – can be opened. The car has metal solid wheel sets. Length over the buffers 34 cm / 13-3/8".